Exactly how many Ferrari 250 GTOs were built? The Ferrari 250 GTO needs little introduction to most readers. Whole books have been written about the GTO's racing exploits and it now regularly commands eight-figure sale prices. Nonetheless, there's still a lot of confusion about exactly how many GTOs were built. Let's set the record straight. The 250 GTO's conceptual predecessor was a 1961 250 GT Sperimentale (chassis 2643GT) with a special Pininfarina-designed aerodynamic body. It's often considered the 250 GTO prototype, although it was actually 2643GT's disappointing performance at Le Mans in 1961 that inspired the GTO. The second prototype, developed by Giotto Bizzarrini later that year, was essentially an aerodynamic test mule built on an existing 250 GT chassis. Bizzarrini describes it as a 250 GT Boano (0523GT), but factory records say it was 1791GT, a 1959 250 GT Short Wheelbase. That prototype no longer survives, so it's an academic point. The 250 GTO was finalized by Mauro Foghieri and Sergio Scaglietti after Bizzarrini left Ferrari in November 1961. The first production car, 3223GT, made its press debut in early 1962. Ferrari built an additional 31 GTOs using this initial Series I (Tipo 539/62) body through September 1963, although various running changes meant that all Series I cars were not identical. All 250 GTOs used the 2,953cc Tipo 168 V-12, but in 1962 and 1963, Ferrari built three cars powered by the 3,967cc Tipo 163 engine. 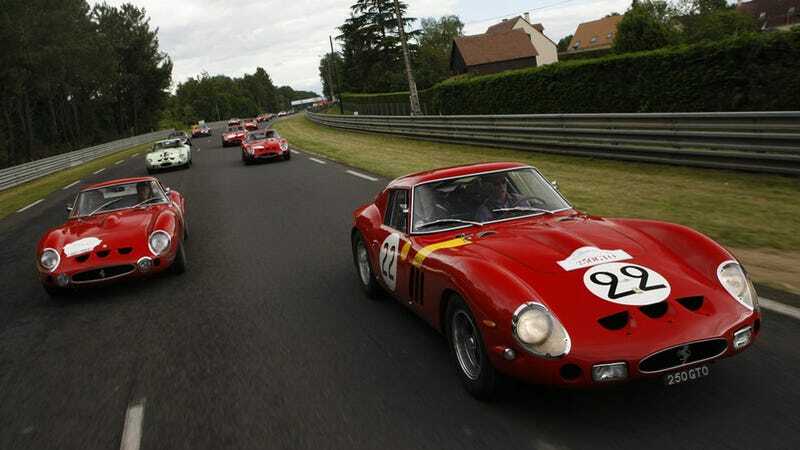 Except for their hood bulges, these 4-liter cars looked much like the 250 GTO, but rode the 400 Superamerica chassis and had four-speed gearboxes and 16-inch wheels rather than the 250 GTO's five-speed and 15-inch Borranis. The 4-liter cars are sometimes described as "330 GTOs," but the ones that raced ran in the Prototype class and were not homologated as GTs. However, one car was later refitted with a 3-liter engine. Ferrari now considers these cars part of the 330 LM sport prototype series along with four Pininfarina-designed 330 LM Berlinettas built in 1963. The 330 LM Berlinettas inspired a one-off 250 GTO that ran at Le Mans in June 1963. That car, 4713GT, had a distinct roofline with 250 GT Berlinetta Lusso-style rear quarter windows, but was built on the Tipo 539/62 chassis, making it the 33rd 250 GTO. Got it so far? It gets more complicated when you add in the Series II GTOs. We try to sort it all out at Autoweek.com.